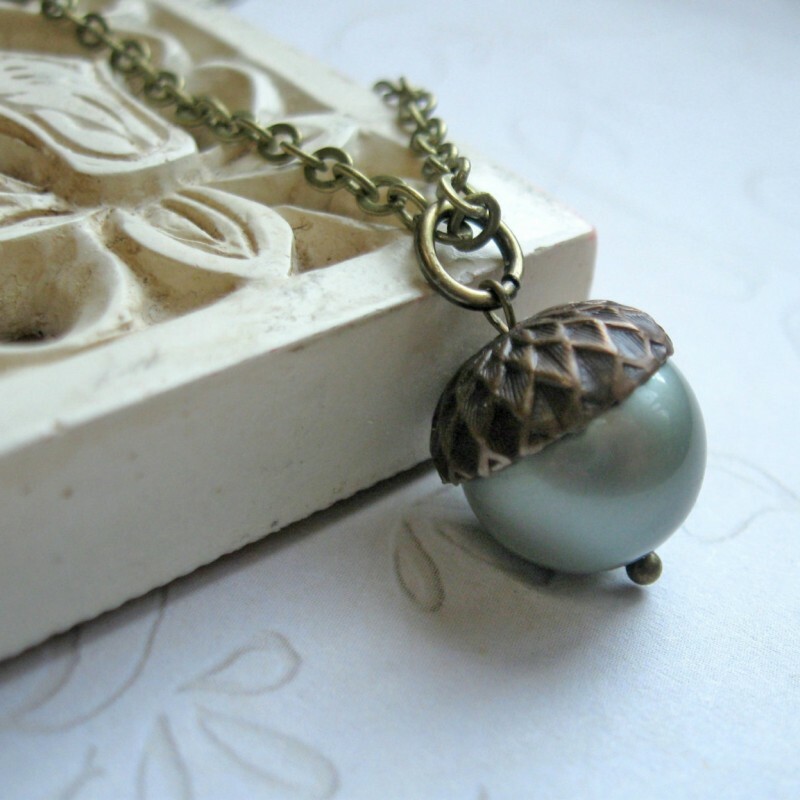 Here is the sweetest little acorn necklace, comprised of one high quality, light green Swarovski glass pearl, with a solid brass acorn bead cap which sits atop the pearl bead. 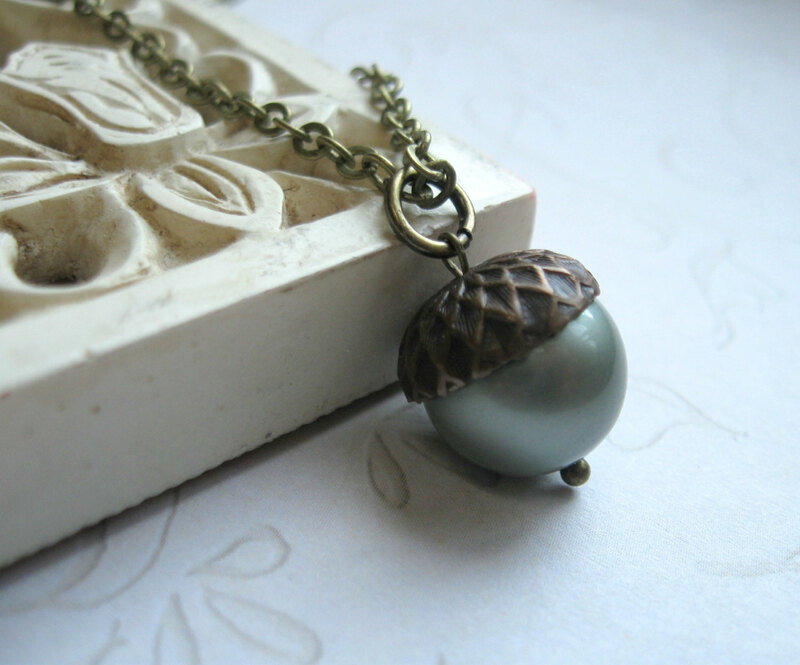 This acorn pendant comes on a sturdy brass chain, and is closed with a solid brass clasp closure. Note: Matching acorn earring are available for sale in the earring section of this store. All materials are lead and nickel safe. 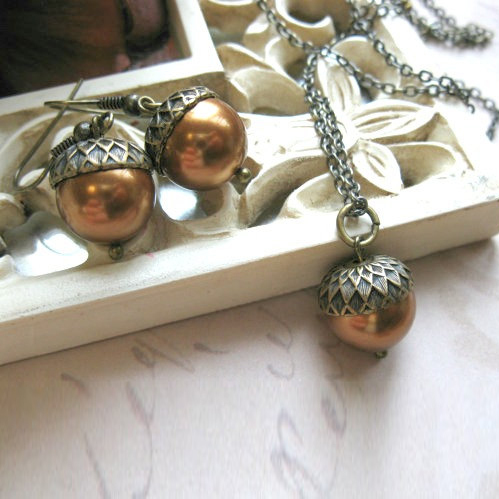 Earrings come shipped in a gift box!